A strong, healthy and harmonious community is very important for any development or progress in society. Through the works of the Samten Tse Charitable Society (STCS), efforts have been made to fund and support many activities of The Tibetan Women’s Associations. These associations provide support in areas of education, health and hygiene, community living, women’s issues and cultural preservation in their own communities— particularly the communities of Tibetans living in exile. STCS helps with many of their projects by making funds available for some of their pivotal activities. 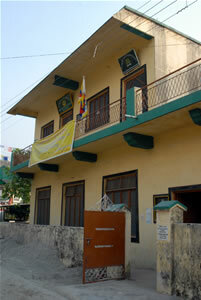 Over the years, STCS has constructed offices, guest houses and provided funding for TWA’s various projects and also donated office supplies, equipment, computers and other necessities for running an office. Senior nuns of Samten Tse Retreat Centre discuss ongoing projects with the staff of the TWA.